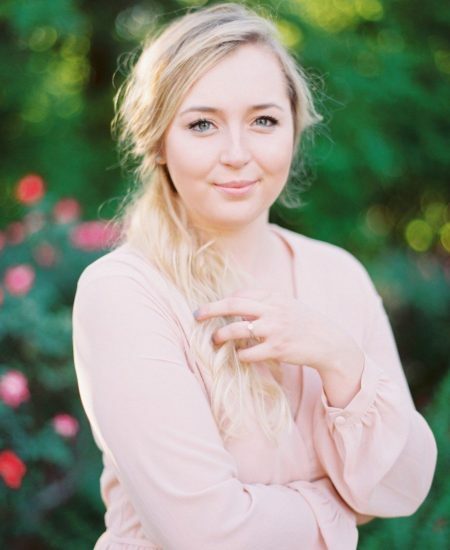 For today’s Wedding Tip Tuesday, I am SOOOO excited to introduce you to my friend Nicolette Selman – boss lady and head Chipotle enthusiast over at her incredible fine art wedding calligraphy + printing company, Isidore + Augustine! Her work is beautiful to look, fun to touch, and her whole process and client experience is so well dialed in to perfection. Today, she’s sharing with me about what she offers, her process, her thoughts on current wedding trends, and sharing a little about herself as well! I would describe my style as a twist on traditional. For example, everything in my Collections is a twist on modern minimal, organic, European/Old-World inspired, and romantic. Everything is carefully considered to give off a really understated, not-trying-too-hard vibe. 2. Walk me through what all you offer! 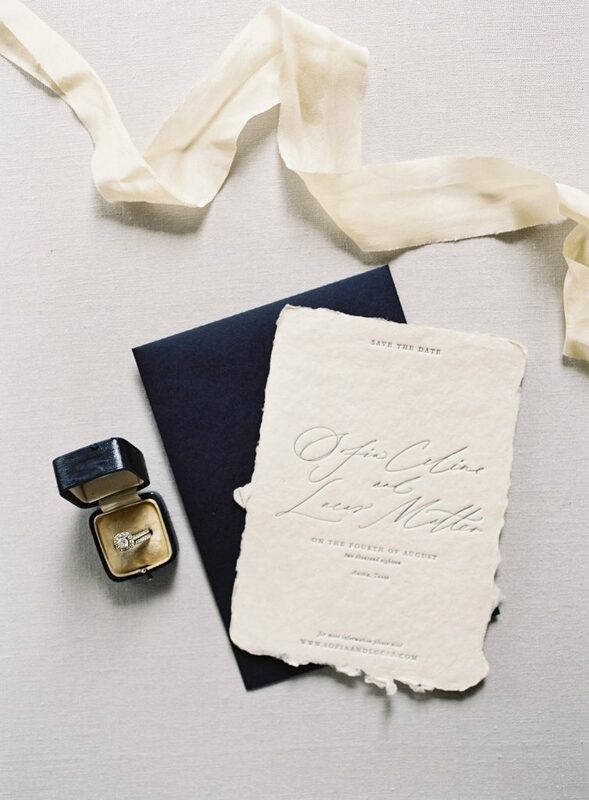 I am a full-service wedding stationer and calligrapher! 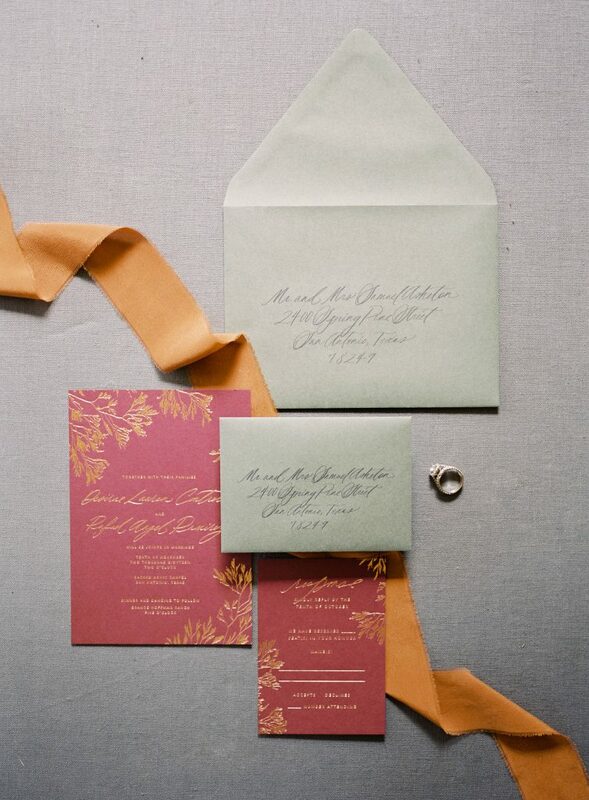 I offer design and printed matter from save-the-dates to invitation suites, to day-of pieces and personalized stationery. 99% of the calligraphy on my pieces (invitations, envelopes, etc.) are by my hand, and I also do my own letterpress printing with my antique, 110-year-old cast iron printing press. My favorite part about my job is seeing a design from concept to the day I get to feed each piece onto the press one-by-one. I can’t describe how fulfilling it is to see our clients’ designs through from digital to print! 3. Tell me a little bit about your client experience. 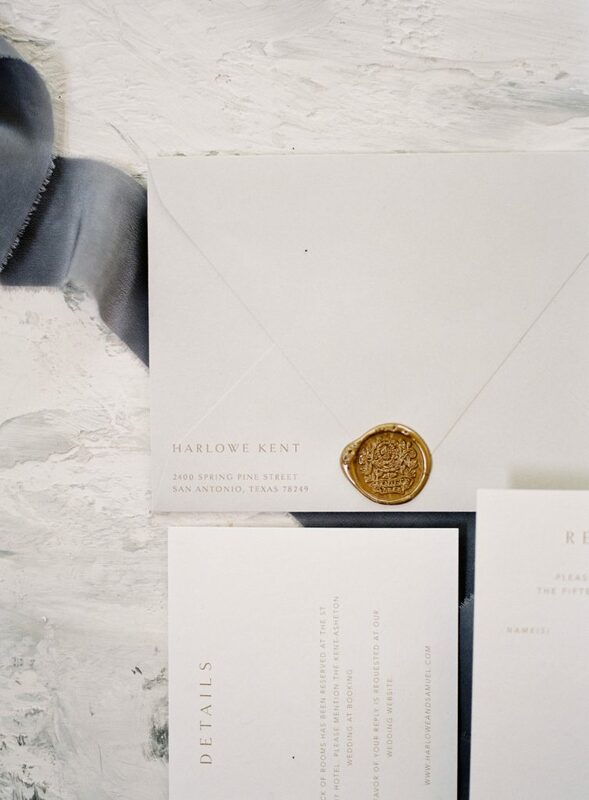 I’ve worked in-depth with 50+ clients on their invitation suites and day-of pieces, so I’ve learned how to anticipate their questions and needs. My client experience is mostly about making sure they are comfortable, that the design process is easy and enjoyable, and that they really feel like I’ve listened to them and their wants/needs. It’s not a light investment, so my focus is on making sure that I’m guiding them towards decisions that are a best fit for their budget and aesthetic – as well as taking as much stress off of their hands as I can! I have the experience, so if I can save them time in any way (so they’re not trying to DIY and waste time and money), I try to go that extra mile. 4. What’s something that’s misunderstood about what you do? 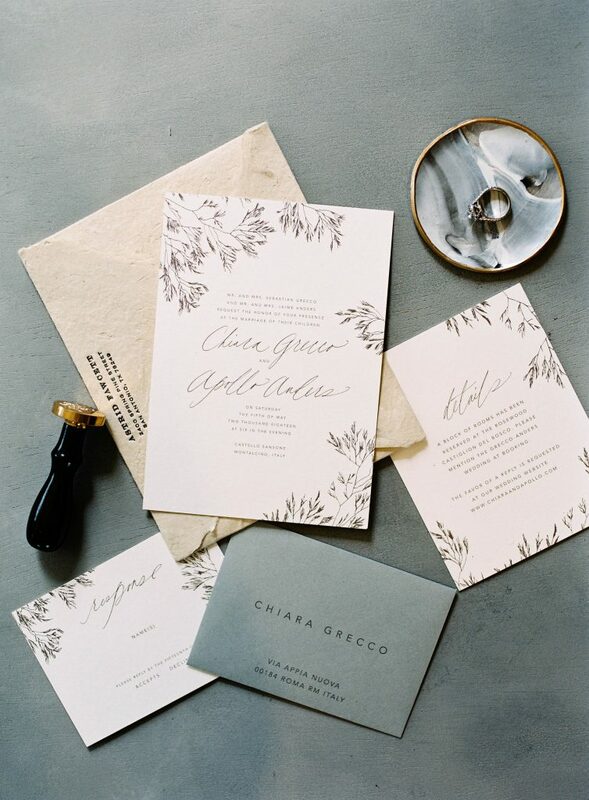 The invitations aren’t just a necessity – they’re the first opportunity you have to excite your guests. And because they can often be overlooked when planning a wedding, a well-designed suite that is an extension of your style can really make a lasting impact. That being said, the biggest misunderstanding is that my job is “just” printing paper. The majority of my work is in working with my clients one-on-one (semi-custom and custom) to design their suites, make any adjustments, and create digital proofs for them so that they can envision everything before they are printed. It doesn’t just take a day – it actually takes 2-3 weeks before they can even be printed! 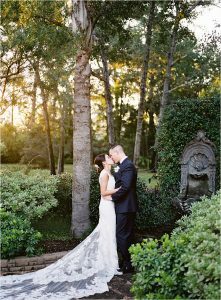 I also use my experience from working in the wedding and production industry to guide my clients through making decisions that will make the biggest impact without blowing their budget. 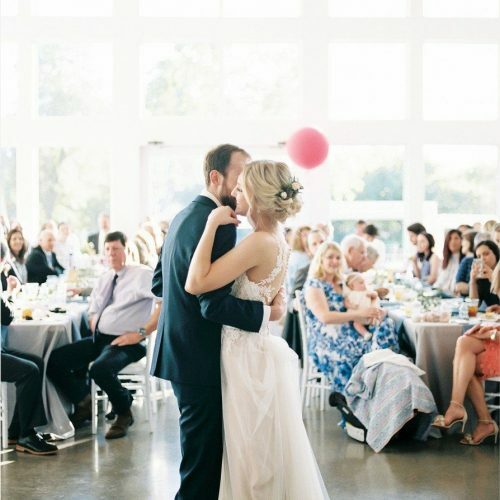 I am so, SO conscious of that (as I planned my own wedding on a very tight budget), so when a client places their trust in me, I can promise them that there is no guesswork in what we are doing for them – every decision is educated and carefully thought through for their paper goods to make their investment worthwhile. 5. What are three non-work related things you’re loving right now? 1. Right now I’m loving Outlander (it’s a TV show on Starz) – I binge-watched the entire show this month. So good! Most of the shows I end up binge-watching are shows that were recommended to me by my clients. 2. Chocolate – I can eat a whole bar of Toblerone in one sitting. I’m not proud of it! 3. Chipotle – their sofritas bowl is the best thing to ever happen in my vegetarian life! You could basically say that when I’m not working, I’m on the couch watching TV and eating chocolate and Chipotle lol. 6. What’s a trend in the industry right now that you’re a fan of? And maybe one that you hope starts to fade? I’m seeing (and loving!) 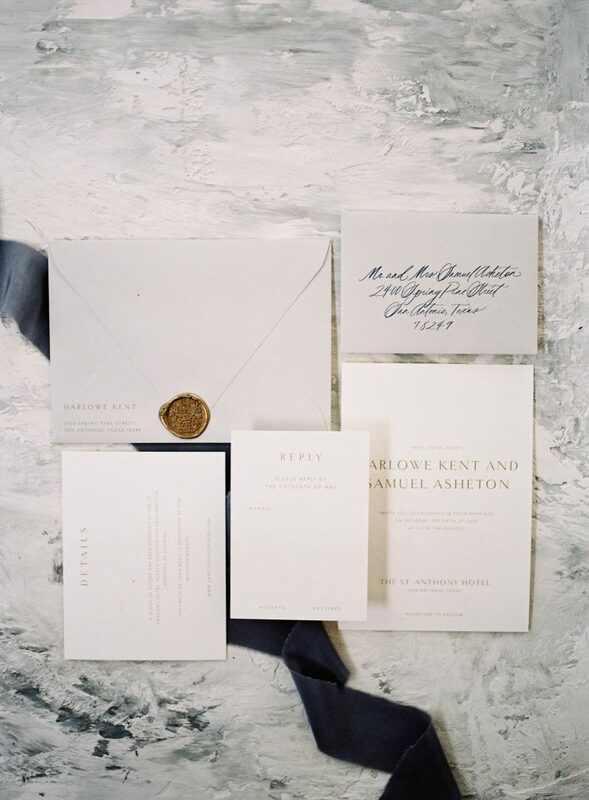 a lot more minimal, typographic design with a focus on textural elements, such as vellum, handmade paper, or letterpress. I’m a fan of understated design, that is elevated with the choice of materials used. 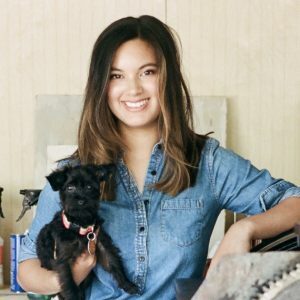 A trend that I hope starts to fade… maybe I wouldn’t call this a trend, but I’d love to see clients focus more on themselves, their own story, and their guest experience rather than on trends or “Pinterest-worthy” ideas. More of that, please!! 7. Where is Isidore & Augustine headed in 2019? Any goals? I’ve been DYING to get my hands on a foil-stamping press! 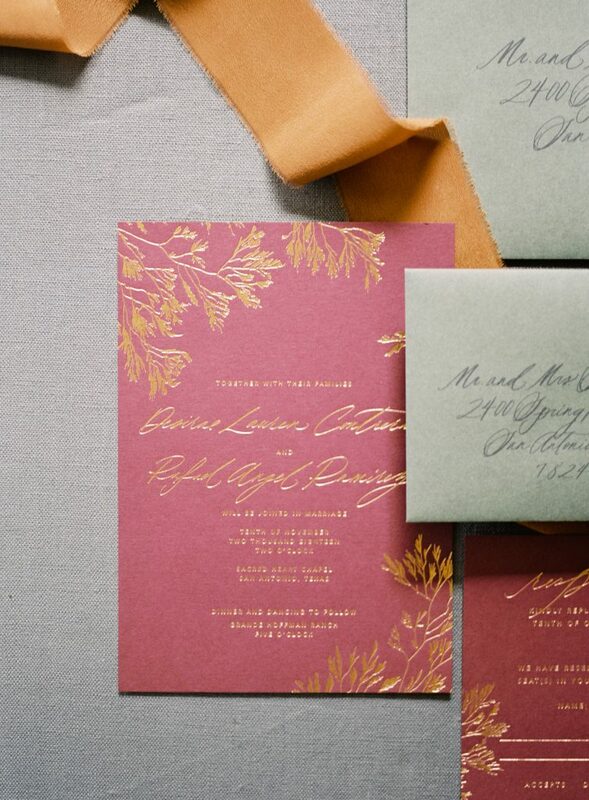 I’d love to be able to do my own foil printing and stamping (I’m thinking linen boxes and albums, so that I could work with my clients’ photographers to use their fonts from their invitation suites to make their albums and boxes look cohesive with the rest of their heirlooms). I also have some ideas for using a foil press to create gifts for clients (that was the first thing I did with my printing press – find a way to create small gifts for my clients!). I’m really grateful for the space I’m in, and all of the lovely clients and wedding industry friends that I have had the chance to work with, and I would just love to continue on that trajectory for 2019! Are you as obsessed with Nicolette’s work as I am? Hire her for your wedding here! Want both of us on your dream team of vendors? You can also inquire for photography by clicking this link!